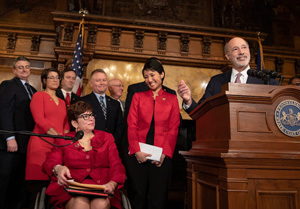 The $15 minimum wage proposal crafted by Senator Tartaglione in partnership with Governor Wolf has earned the endorsement of 38 economists and social scientists, who have co-signed a letter calling for a “bold increase” in Pennsylvania’s outdated minimum wage. The economic researchers and analysts represent academic institutions from throughout the Commonwealth and across the nation, as well as the Washington, D.C., based Economic Policy Institute and Harrisburg-based Keystone Research Center. Senator Tartaglione will soon introduce Senate Bill 12 which would raise Pennsylvania’s minimum wage from $7.25 per hour to $12 this year, followed by annual raises of 50 cents until it reaches $15 by 2025. Thereafter, the minimum wage would be linked to automatic annual cost of living adjustments. The legislation would also eliminate the sub-minimum wage, which allows employers to pay as little as $2.83 per hour to certain categories of workers, such as tip-earners, those with disabilities, trainees, and students. The economists stated that the new minimum wage proposal would directly lift the wages of 1.5 million Pennsylvanians by 2025, in addition to another 500,000 who make just above $15 now and would likely receive a pay raise as their employers adjust internal wage scales. Adjusted for inflation, today’s minimum wage workers in Pennsylvania earn 29 percent less per hour than their counterparts did 50 years ago, although worker productivity has doubled in Pennsylvania in that time. The purchasing power of the federal minimum wage has been eroding for just as long. Its value peaked in 1968 at an inflation-adjusted rate of $10.15 per hour relative to 2018 dollars. Wage stagnation at the low end of the pay scale is not just an economic problem for Pennsylvania and the entire country. Researchers are finding that it’s also a major public health concern according to a recent article in New York Times Magazine. Numerous published studies from the academic and scientific communities have drawn direct correlations between low wages and heightened public health problems. 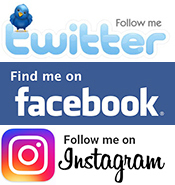 These medical and social concerns include poor nutrition, chronic stress, lack of sleep, smoking, low self-esteem, alcohol and substance abuse, maternal health problems, teen pregnancy, low-weight babies, child neglect, tumor growth, and premature death. 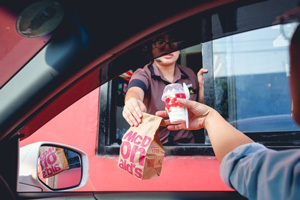 “These studies show the positive externalities of increasing the minimum wage on serious outcomes, like reducing child abuse,” said Lindsey Bullinger, an assistant professor from Indiana University who found in 2017 that raising the minimum wage by $1 would reduce child neglect reports by almost 10 percent. There’s common sense behind the findings. People who earn low wages often work longer hours or multiple jobs to make ends meet. They often don’t sleep enough or eat right. They may not have enough money to shop for healthy foods or time to cook. Also, many of them lack adequate healthcare or they don’t take time to seek treatment for non-critical health complaints. Often, children of low-wage workers don’t receive the supervision or attention they need to thrive because the parents are working outside the home. 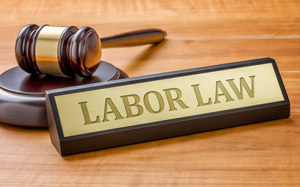 There have been at least nine relevant lawsuits filed on behalf of Pennsylvania workers against public-sector employers and/or unions since the June 2018 Janus vs. AFSCME decision. In one case, a school bus driver sued his employer and union for collecting dues from him after Janus. In another, a group of Erie utility workers is suing their union alleging poor representation. In another ongoing class action suit that predated Janus, teachers are alleging that their unions were illegally collecting fees. “Although some of the suits have been settled with unions refunding dues or fees to plaintiffs, no judge has issued a precedent-setting opinion on any Pennsylvania case,” the news agency reported. One source described by the paper as “a watchdog for anti-union activity” said that one of the reasons right-leaning organizations have ramped up their legal efforts is that the campaign to convince members to quit their unions has not produced its desired effect. The Pennsylvania State Education Association has lost about 1,200 members, but continues to represent 142,300. The School District of Philadelphia reported that about 600 dues-paying members have defected from the five unions that still represent about 18,000 district employees. Union officials said their organizations remain attractive to workers because they continue to advocate for workers’ rights like a higher minimum wage and better healthcare access. With about 700,000 residents who are union members, Pennsylvania ranks fourth among U.S. states, trailing only California, New York, and Illinois, according to the U.S. Bureau of Labor Statistics. Pennsylvania Attorney General Josh Shapiro and 13 other state attorneys general have reached a settlement with four national restaurant franchisors by which the companies agreed to stop using “no poaching” clauses that restrict the movement of employees from restaurant to restaurant. Arby’s, Dunkin’, Five Guys, and Little Caesars signed onto the agreement, which follows similar settlements last year involving the Washington State attorney general and numerous franchisors, who were accused of using the no poaching tactic to keep wages artificially low. Arby’s, Little Caesars and Five Guys were also parties in the Washington State actions, as were Applebee’s, Auntie Anne’s, Buffalo Wild Wings, Carl’s Jr., Church’s Chicken, Cinnabon, IHOP, Jamba Juice, Jimmy John’s, McDonald’s, Panera Bread, and Sonic. “No-poach clauses have drawn scrutiny over whether they hold down pay for restaurant employees – one of the largest segments of the United States work force – and also contribute to a broader wage stagnation that continues to plague the economy long after the end of the recession,” the New York Times reported. Washington Attorney General Bob Ferguson launched his state’s investigation into the practice after he read a September 2017 Times article that explored how the clauses limit workers’ mobility. That year, two Princeton economists published a study in which they estimated that the clauses affect 70,000 restaurants in the U.S., more than one-quarter of fast-food outlets. The recent uptick in legal activity has also captured the attention of the U.S. Department of Justice’s Antitrust Division, which in April 2018 announced it was actively investigating and prosecuting companies that entered no-poach agreements, and subsequently settled one such claim against the world’s two largest railroad equipment manufacturers, including Western Pennsylvania-based Westinghouse Air Brakes Technologies Corp., known as Wabtec. Tax preparation services like H&R Block, and car repair chains like Jiffy Lube have also been linked to no-poach policies. However, in federal court filings this year, the DOJ has suggested it may advocate for less-strict enforcement of no-poach cases involving franchisors and franchisees. The Pennsylvania Senate is scheduled to reconvene on Monday, March 18, at 1 p.m.; Tuesday, March 19, at 1 p.m.; and Wednesday, March 20, at 11 a.m. For the full Senate schedule click here. To watch the Senate live, click here. S.B. 371 (Martin) – Would amend the Public Employee Relations Act (Act 195 of 1970) as a result of the U.S. Supreme Court’s decision in the Janus v. AFSCME case. It would require that public employers biannually notify all employees that any payment they make to a representative union is voluntary, consensual, and is not a condition of employment; that a public employer notify job applicants that being a member of the representative union is optional and is not a condition of employment; and that public employers be prohibited from making any payroll deductions from wages of nonmembers for payments to a representative union. S.B. 426 (Fontana) – Would exempt Second Class Counties (Allegheny) from the provision in Act 112 of 2006 that prevents local municipalities from establishing their own minimum wage regulations.